The original Forge Direct TIGER Boar Killing Spear had always been a popular and unique blade. 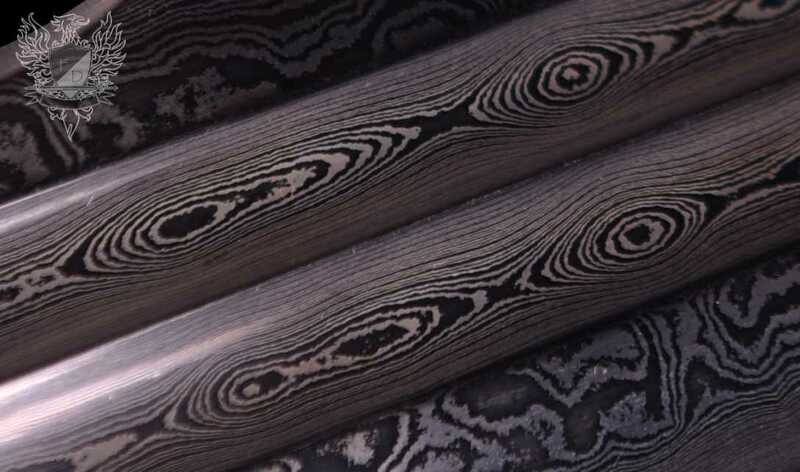 With its versatile, unscrewable handle so it can be used in either dagger or spear configuration and stunning Master Smith forged Damascus steel blade – it was no wonder it was popular. So it came as a bit of a surprise that the Forge decided to change it up, but then again after seeing how it turned out, I think I like it.. 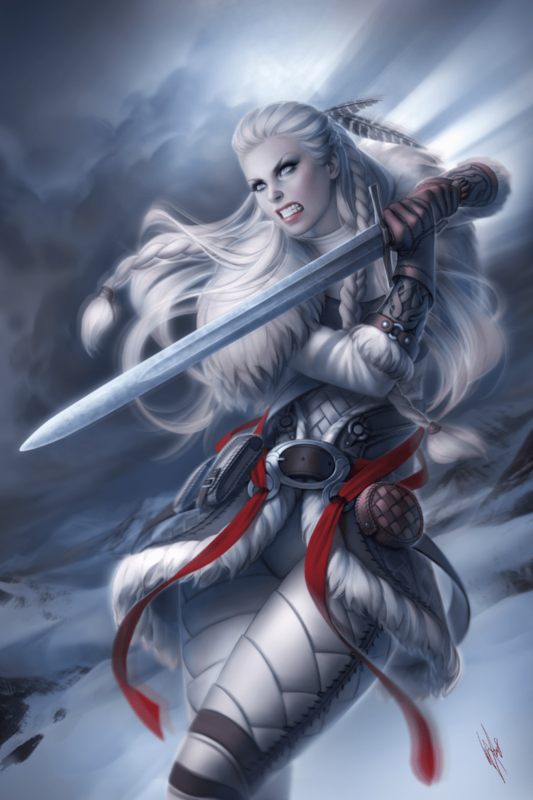 The new – DRAGON spear version.. 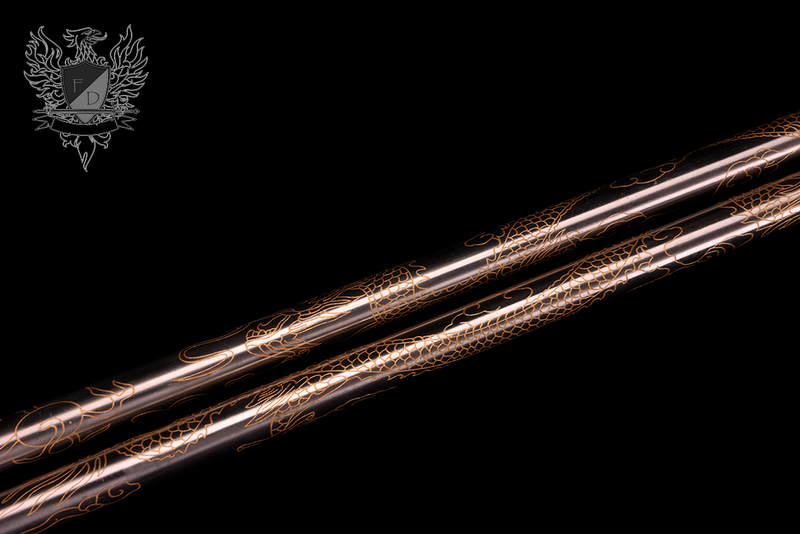 The blade is identical – here is a close up of the stunning Damascus pattern..
And here is the new engraved Dragon themed pole. To hit the ground running, this new version is available with an 20% discount until midnight the 13th of October, bringing the price down for $750 to just $599.99 SHIPPED. This special price is only available for the next few days, so if you like, get it at the discounted introductory price while you can. It is going to be a busy 24 hours for sales – starting off with a follow up sale from Forge Direct.. There are a few swords within the Forge Direct MasterSmith forged collection that for some reason, just don’t seem to generate much interest. 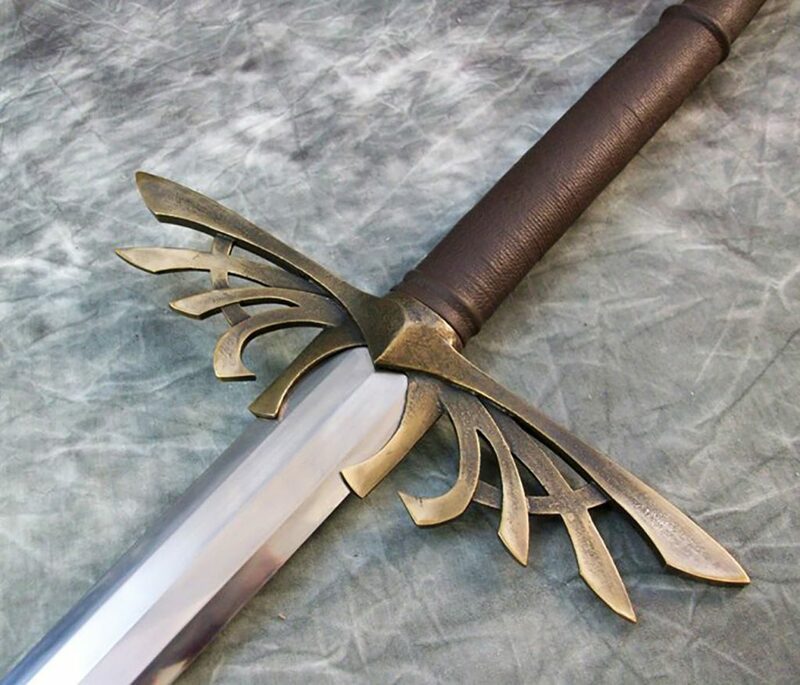 So to determine why – we have teamed up with the forge to give these three swords one last chance by removing the price barrier and selling them for 50% of the usual price! 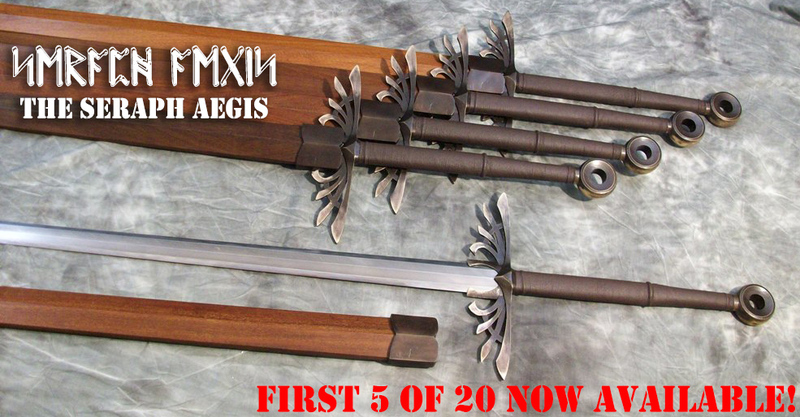 This is the steepest discount on these swords you will ever see – and may well be the last chance to pick them up at all.. 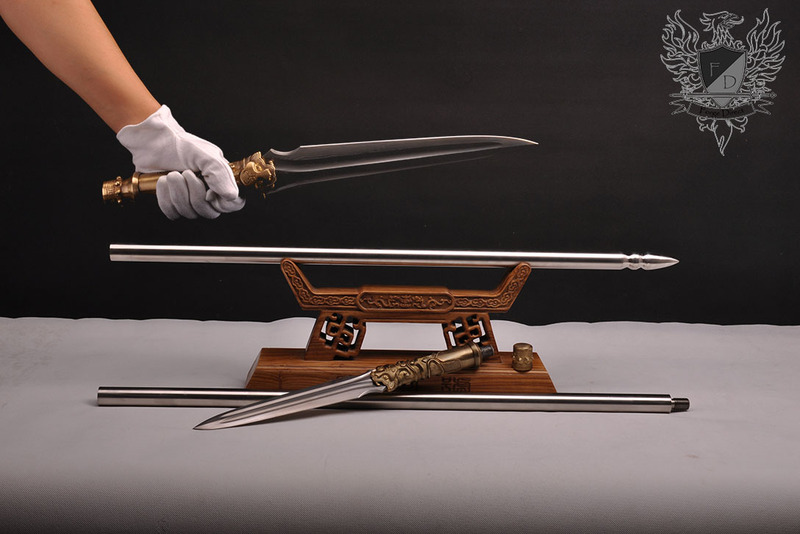 So have a quick look at the following three swords and decide for yourself if they are worth having or not.